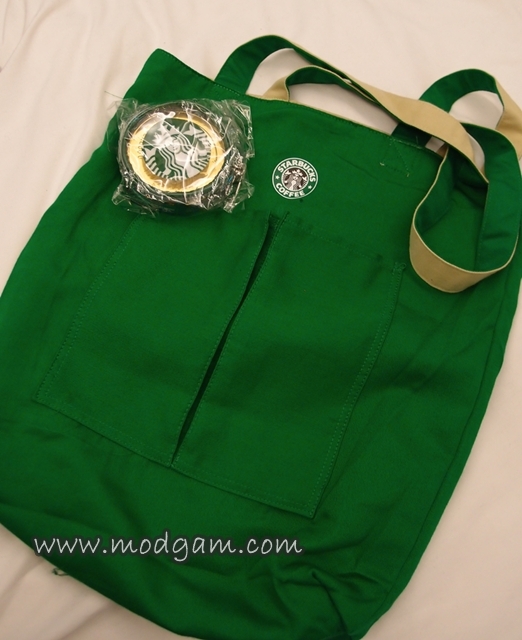 Yes, I finally got down to sorting out my shopping loots from my Taiwan trip! 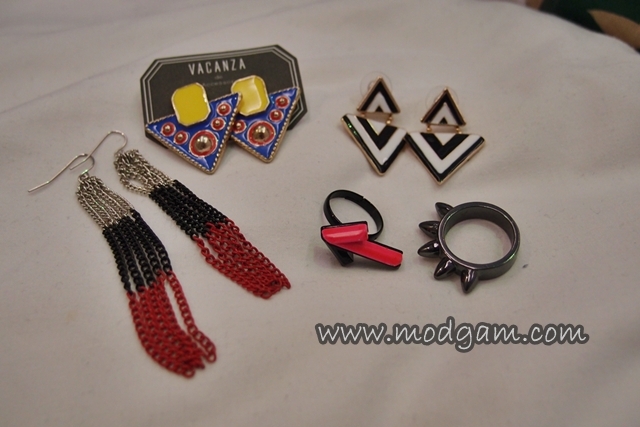 Shopping is pretty disappointing but I did somehow still managed to find me some quirky stuffs! 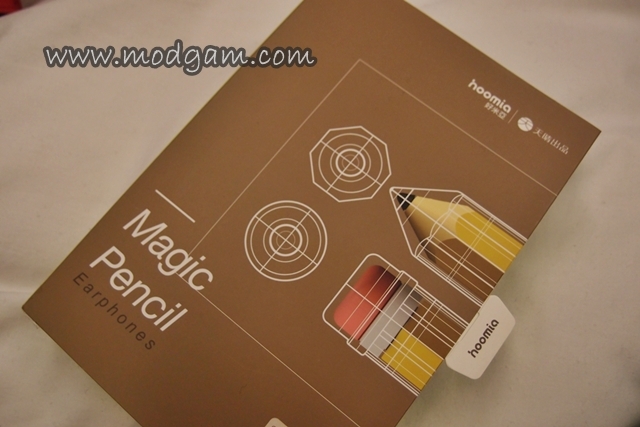 It’s Modgam you are talking about, of cos I CAN and WILL dig my way through the malls and what not! 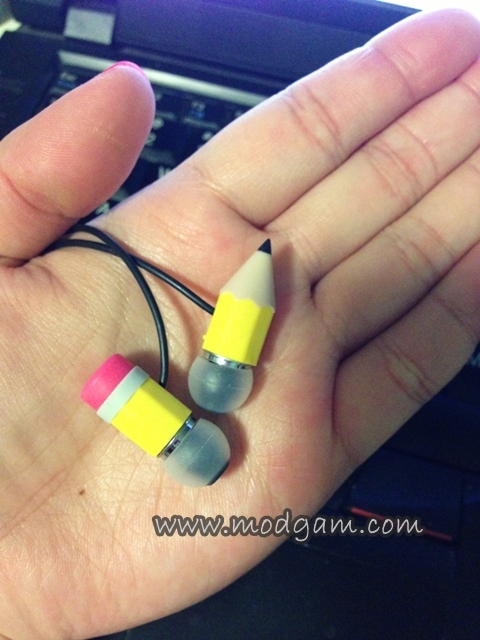 The Funky Pencil and Eraser Earphones! Aren’t they adorable? So quirky it makes me laugh! Detailed sound with not too bad bass! 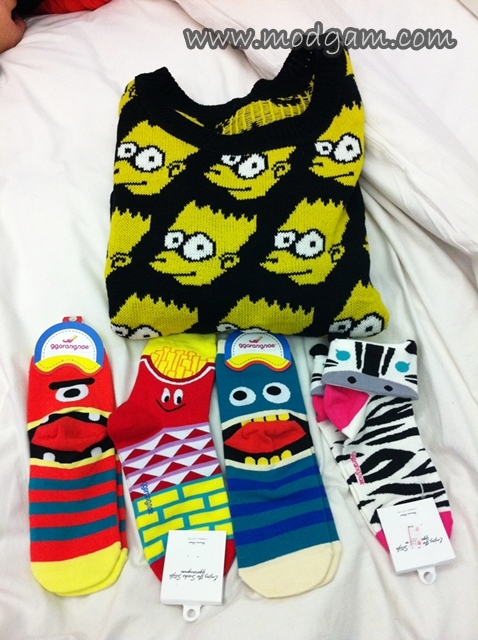 The very adorable Bart Simpson sweatshirt plus quirky, fun and colorful socks! Reminded me of Lazy Oaf socks. 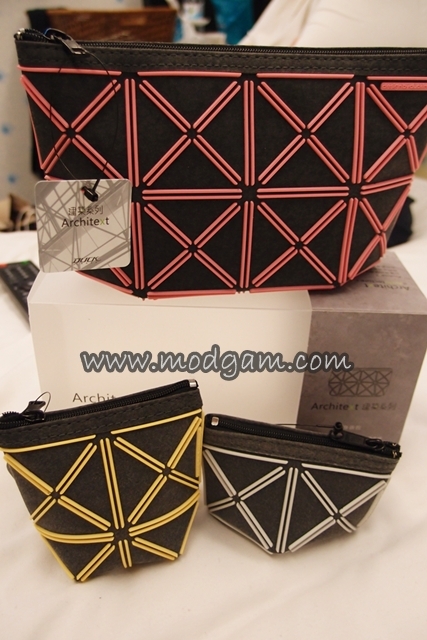 Love the architect structures of these pouches. Reminded me of Issey Miyake Bilbao! I wanted to buy one of each in different colors! 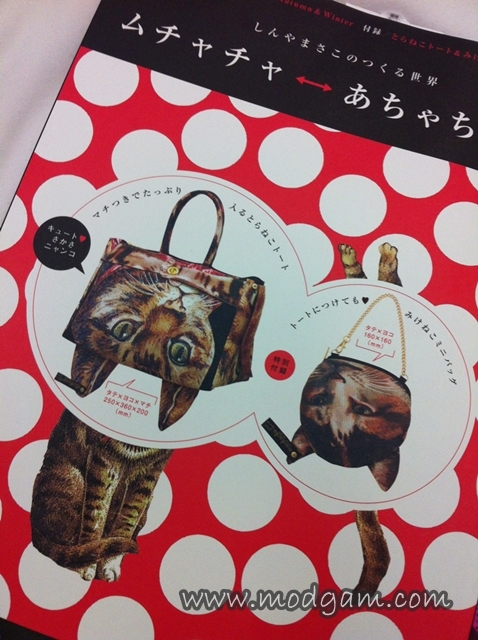 I love buying Japanese magazines for it comes with lovely bags, pouches or a special gift collaboration. 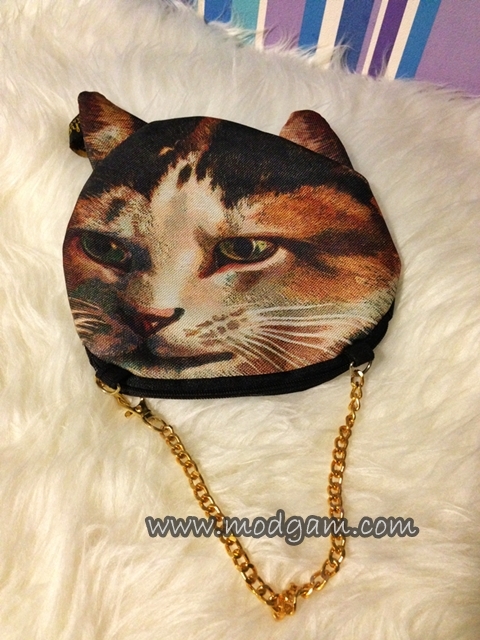 Bought Ahcahcum Muchacha magazine and it came with this lovely cat bag! 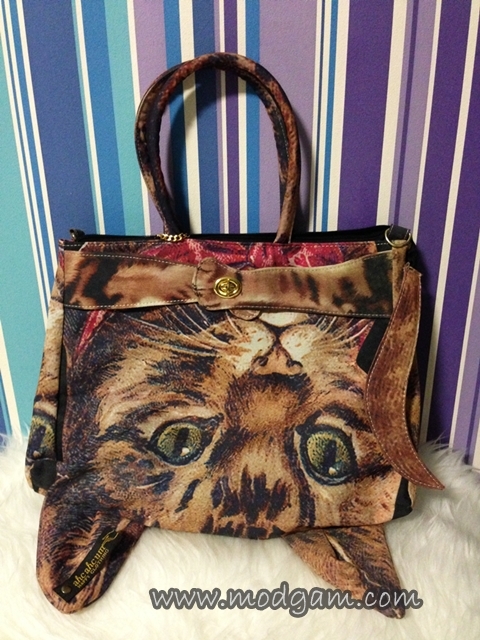 It is so unique and I think I paid only about S$55? I am in love with so many Ahcahcum Muchacha designs and I would love to get my hands on her past rabbit collection. 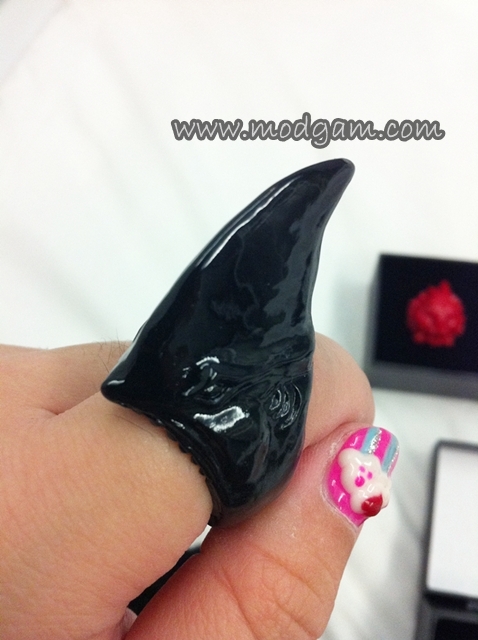 This is one very cool ring! Am loving the details and if you look close enough, you’ll be able to see its teeth! Doesn’t this rabbit looks like the one from Alice in Wonderland? So cute and artsy! 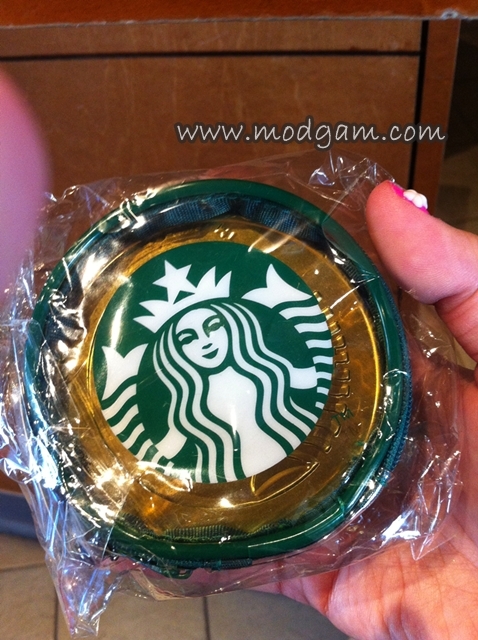 I will and must visit Starbucks each time I travel because I am a HUGE Starbucks fan! I have to check out their collection and see if there is anything I can buy and collect which is not available here in Singapore. thanksssss lemons, i’ll try… im too shy when i get infront of the camera. Well, your shopping expertise means that you didn’t waste money on things that were not worth buying – not a bad thing! Hahahaa dd, thank you thank you!!! Heheee i was so happy when i 1st saw them! I knew i had to buy it. 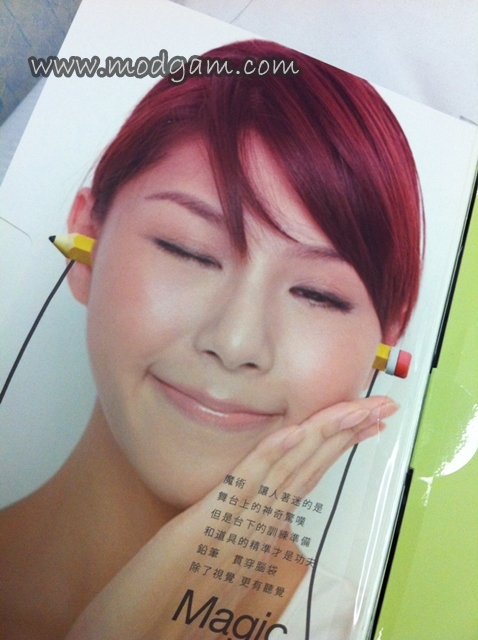 One of my very first few buys in Taipei. love those quirky socks, mag! so many loots you got here! 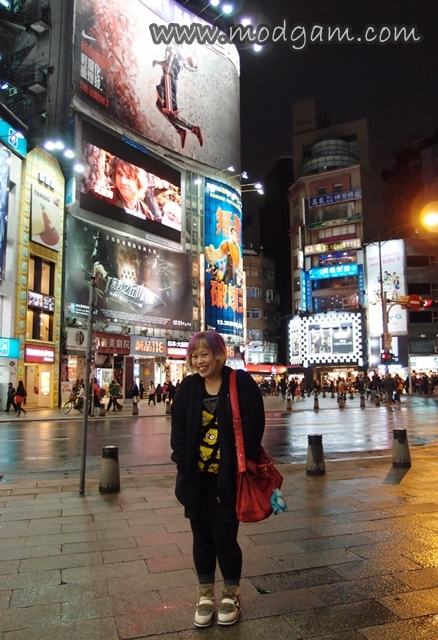 must go to taipei? hmmm. must save! hahaha! Hahaa im loving my loots but kinda disappointing cos i expected more but then again maybe cos i went during winter. U should see my hkg loots! Maddness.